Syed Mustafa Siraj (সৈয়দ মুস্তাফা সিরাজ)-14th October 1930 to 4th September 2012, was a famous Bengali author and the creator of fictional detective character Colonel Niladri Sarkar (কর্নেল নীলাদ্রি সরকার). 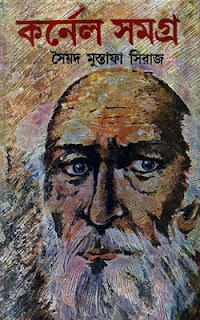 This book is a combination of twelve detective stories, in which the the main hero is Colonel (কর্নেল) and his assistant and young friend Jayanta (জয়ন্ত). There are total three parts of this series which are collected from the web (Open Source) and shared with the readers.